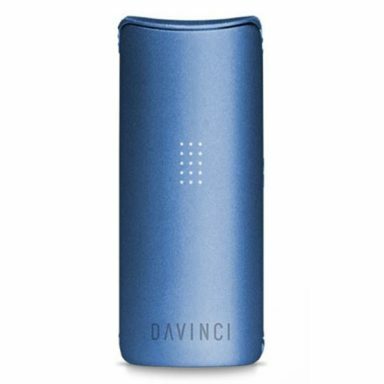 “The DaVinci IQ is with-out-a-doubt one of the most elegant dry herb vaporizers available, and perfect for vapers that love techy gadgets. 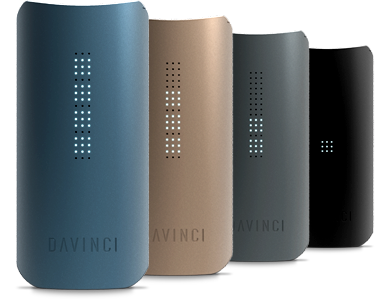 This vaporizer is made of premium materials, featuring a sand-blasted anodized aluminum shell, a ceramic oven, and zirconium elements, including the Pearl – unique to the DaVinci IQ. The DaVinci Pearl is a unique feature which sits inside the IQ’s oven, and aids in evenly distributing heat within the chamber in order to ensure that all contents are vaporized efficiently – eliminating waste. Not only is the Pearl made of zirconia – but so are the device’s swappable mouthpieces – which serves to purify the flavor, and reduce the heat of the vapor prior to ingestion. In addition to the Pearl, the IQ includes several innovative features that contribute to the device’s unique functionality. A latch on the bottom of the IQ opens to reveal the oven chamber, and another on the top of the device opens to reveal several bonus elements neatly tucked away within the device’s body. Within this compartment is the Flavor Chamber – a removable, cylindrical vessel that can be dislodged with a convenient chamber tool also packed neatly inside (which also serves to remove the contents of the oven following sessions). The dry herb inside the flavor chamber – packed as an unground bud – does not actually burn, but rather, the vapor passes from the oven through the flavor chamber and carries the flavor through the air path until it reaches your lips. 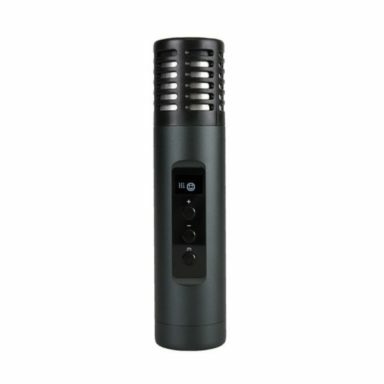 Not only does the flavor chamber serve as an interesting innovation for contributing to the depth of the herb’s taste profile, the user can also pack an extra bud or two within for later use when transporting the IQ outside the home. The IQ’s kit also comes with a neat little carry can on a keychain with an extra tool, so the user is always well-equipped. 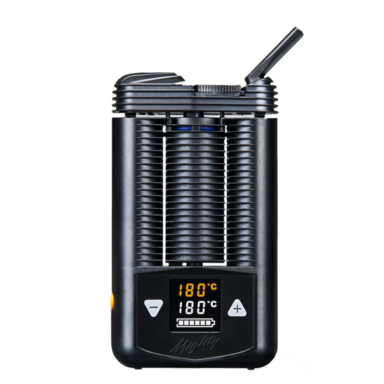 Finally, and most importantly, the DaVinci is Bluetooth compatible – pairing with a sophisticated smartphone app wherein the user can control the temperature settings and track session data. The device can be used with or without the app, as the temperature can be set manually on the unit. The display boasts a 51-dot LED grid displaying the temperature reading.